Kiwi Fashion Blog: Repeat offender! BUT, for the amount of $$ I put into this, I have to wear it as often as possible (whenever it is not raining lol). 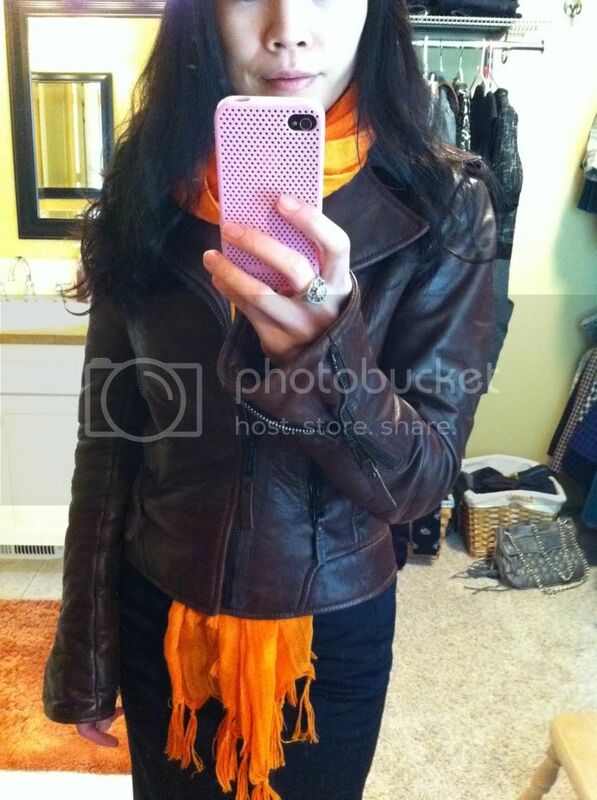 I paired it with a bright colour Love Quotes scarf in the colour Mango! I will be working on getting my future pictures taken OUTDOOR, more "action shot" style. I will be trying. I am sick of seeing myself standing in front of my closet mirror too haha. awesome jacket - i dont mind repetitive wear. I love your Bal jacket! Could never get tired of seeing it :) I wouldn't stop wearing mine, either. Would u like to follow my fashion/beauty blog? Could never grow tired of a Balenciaga jacket!!! I love this jacket! 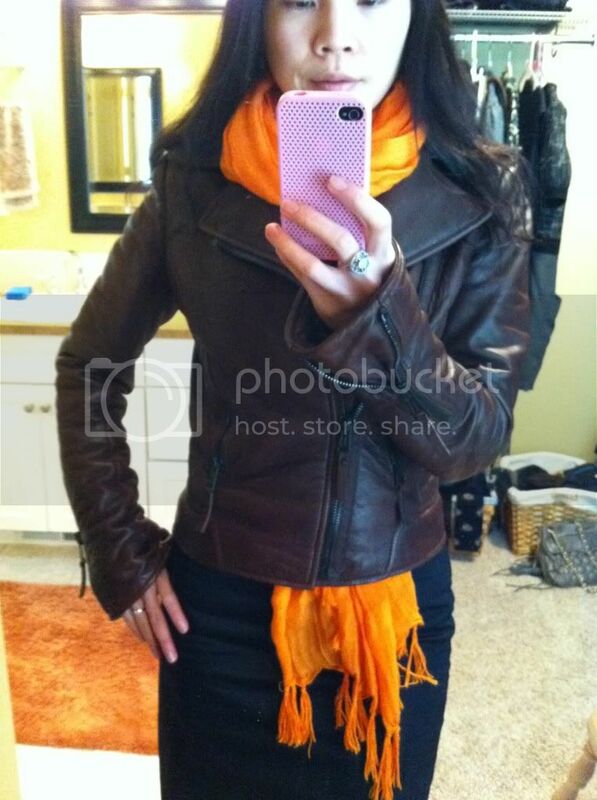 I'm trying to decide what my first paycheck splurge will be - the perfect leather jacket is a top contender. I agree; when you find the perfect item (and spend a fortune on it!) you should wear it as much as possible! I'm all for special items being everyday, not just occasions! It's a bright WHITE Friday!